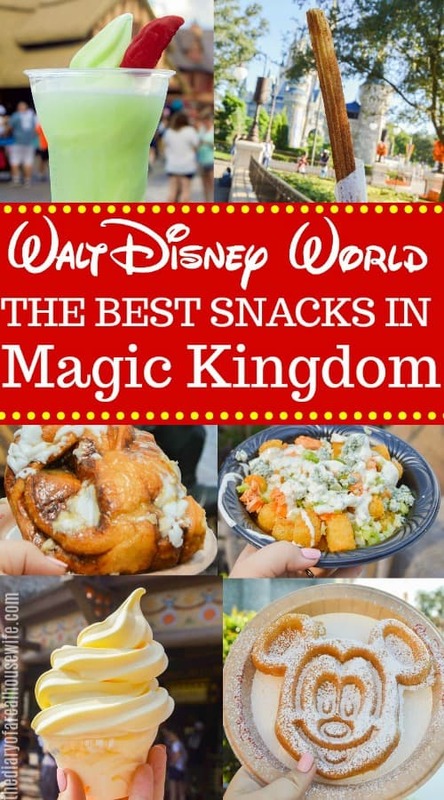 If you have a trip planned to Disney then you are going to want to check out The Best Snacks in Disney’s Magic Kingdom and make sure to try your favorites in the park. You can find the name and location just make sure to clean up the drool on your keyboard after reading. If you know me then you know how much I love Disney and how much I love food. The two together are a magical thing! I find that I look forward to the food at Disney just as much as the rides and attractions. 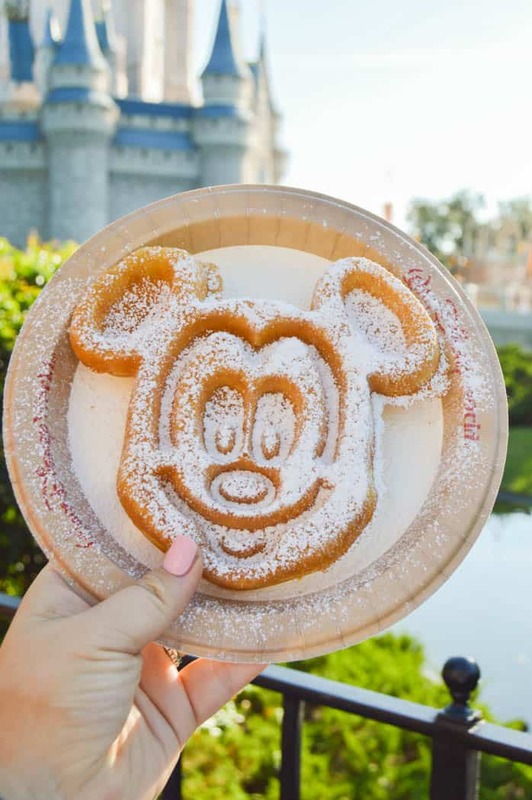 If you are planning a trip to Disney World anytime soon then you will want to make sure to read and pin this post. These are just a few of my favorite snack foods at Disney. Make sure to tell me which ones are your favorite and what you loved that we missed! Are all of these included with the Disney Dining Plan Snack Credit? I can’t answer that only because the food that is considered a snack is specific to your dining plan. Disney has a Quick-Service Dining Plan, Dining Plan, and Disney Deluxe Dining Plan. To learn more you can look at the plan that you purchased or check out Disney’s Dining Plan page. Snack: Mickey Rice Krispy Treat. This one is a favorite of mine. Disney has the BEST rice krisy treats. 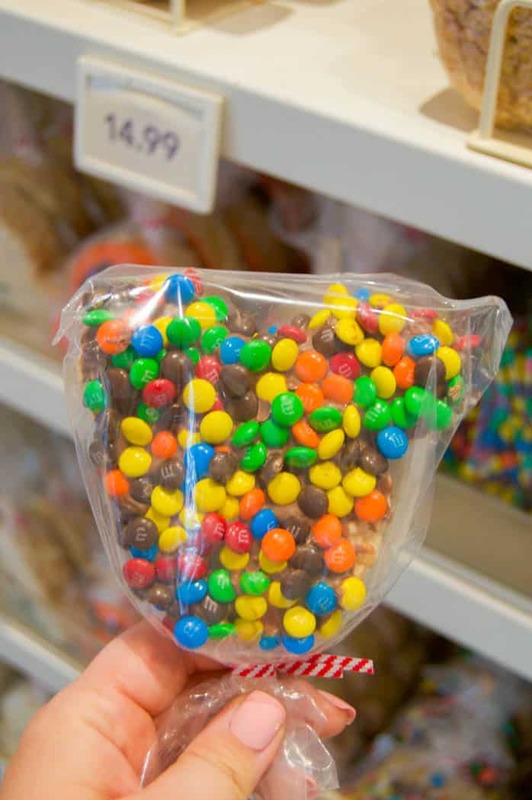 You can get them covered in chocolate and m&ms like in the picture, with white chocolate, sprinkle, crushed Oreos, or, with peanut butter chips, plain. It’s always a treat we love to get each visit. Where to find it: You can find the Mickey Rice Krispy Treat is lots of different places throughout the park. Our favorite place to get them ins on Main Street at the Confectionery. They have them premade and wrapped or you can go through the bakery line to pick out some in the glass. Where to find it: You can these all over the park in the ice cream carts. 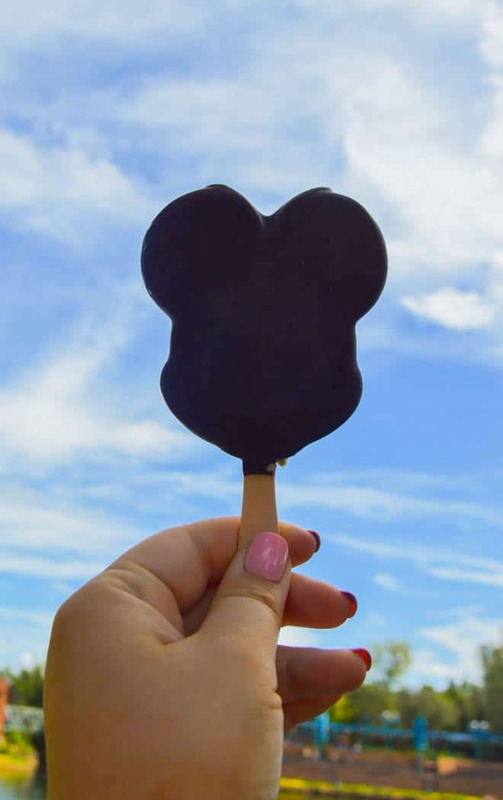 Most of them will have this ice cream and Mickey Ice Cream Sandwiches. All carts should have a picture menu so you can see what that cart has. I love buffalo chicken so these tots were on my must-try list. If you love buffalo chicken then make sure to grab a bowl. If you aren’t a fan of buffalo sauce then don’t worry because they offer lots of other loaded tots like creamy bacon mac&cheese tots, fiesta tots., and more. 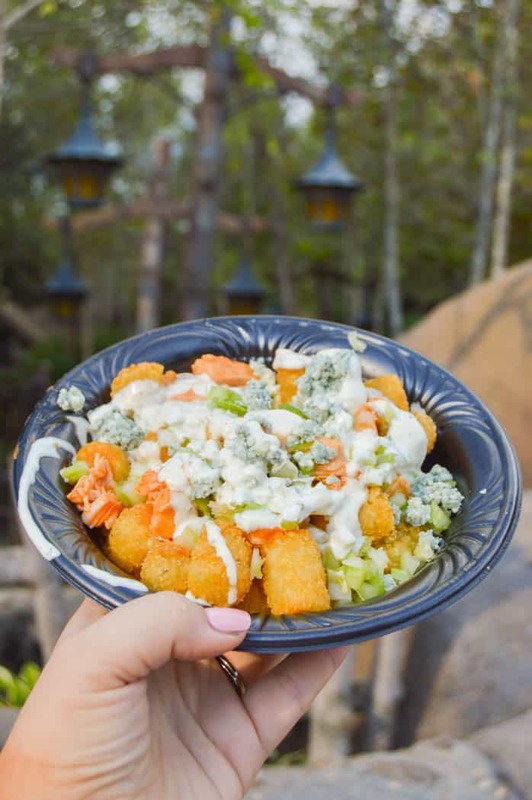 Where to find it: You can find these tots at The Fiar’s Nook in Fantasyland. Right across from the Seven Dwarfs Mine Trains and next to The Many Adventures of Winnie the Pooh Ride. This is a park favorite and one that we get every time we hit the park. It’s a classic Disney treat and everyone in my family loves it. 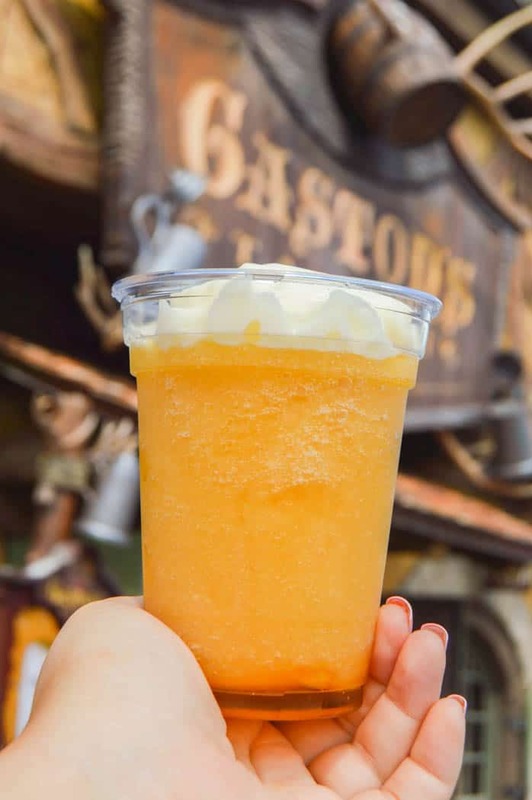 You can even get it as a Pineapple Float which has the Dole Whip with pineapple juice. We like getting the float in the really hot days. You can also get it on top of a pineapple upside down cake now. 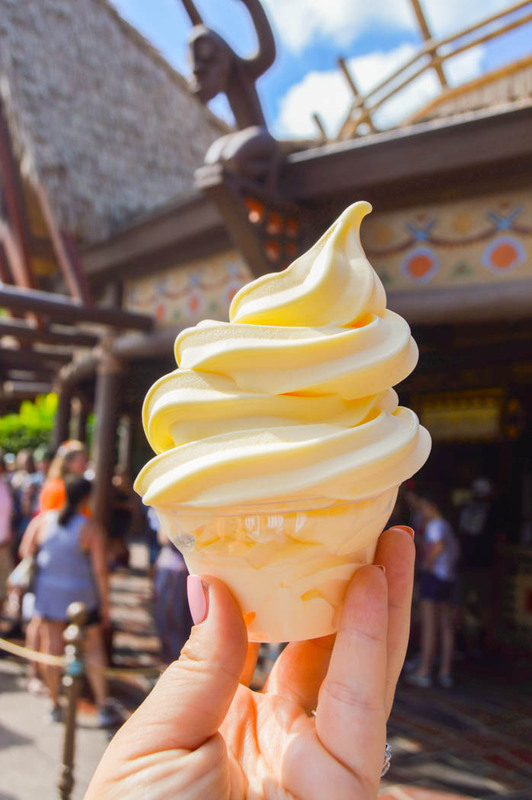 Where to find it: You can find this treat in Adventureland at Aloha Isle. It’s tucked away behind The Magic Carpets of Aladdin ride. This chocolate filled danish is striped with Cheshire Cat colored icing. It’s soft and fluffy and so yummy. The perfect treat after you ride the spinning teacups. Where to find it: You can find this in Fantasyland at the Cheshire Cafe. It’s right next to the Mad Tea Party spinning teacups. This one is one you are going to have to share. I mean look at that massive cinnamon roll. This one is hand’s down my husband’s favorite treat and place to eat. You can also find one of our favorite treats in the same place that I talk about later. It’s also a great spot for lunch with sandwiches and lots of other yummy desserts. Where to find it: You can find this in Fantasyland At Gaston’s Tavern. It’s right behind the Be Our Guest Restaurant and the perfect place to stop before you head over to hear an enchanted tale from Princess Belle. These are not your average spring rolls. They have flavors like buffalo chicken, cheeseburger, and Reuben. We tried the Reuben and loved it. 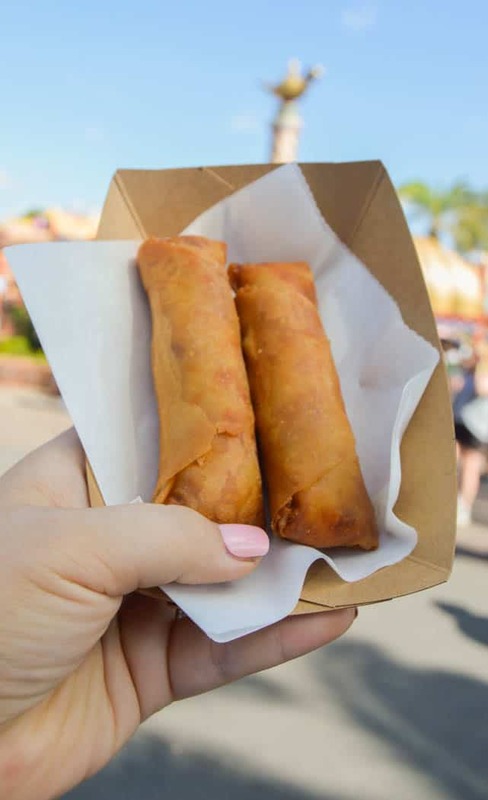 Where to find it: These rolls can be a little harder to find because they are actually in a cart and not even on the Disney app map. You will be able to find them in Adventureland on a cart right across from the Enchanted Tiki Room. They change up the flavors some and the cheeseburger will sell out fast. This drink is so unique and while some might not like it it’s a favorite of ours. We order one with the cinnamon roll each time we visit the park. The drink is made of a frozen apple juice and it has just a hint tasted marshmallow. On top of the drink is a passion fruit and mango foam. I told you it was a unique drink! My kids love this one so much. 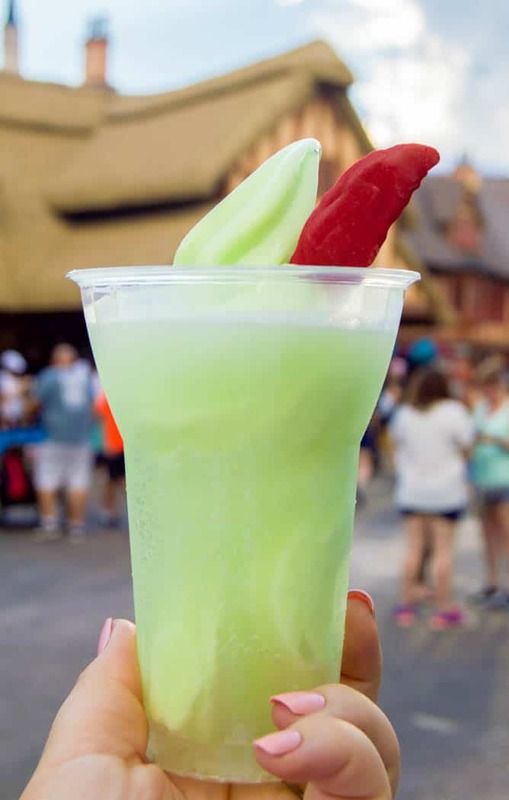 You can order the drink in a cup like pictured or for an extra charge you can get it in the souvenir cup. Where to find it: You can find this in Fantasyland At Gaston’s Tavern. 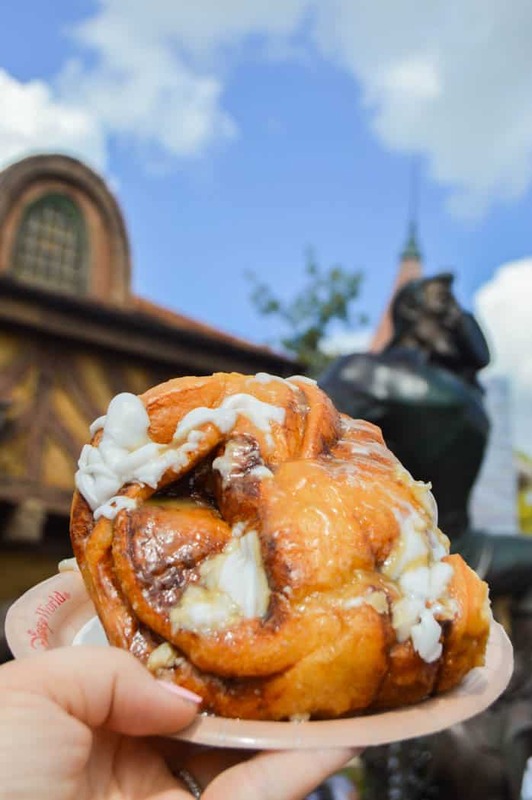 It’s right behind the Be Our Guest Restaurant in the same place you will find that mouth-watering cinnamon roll. If you love lime then this treat is perfect for you. While it does have a more tart lime taste even the kids loved this one. It’s made with a lime soft serve and Sprite and topped with the cutest chocolate feather. 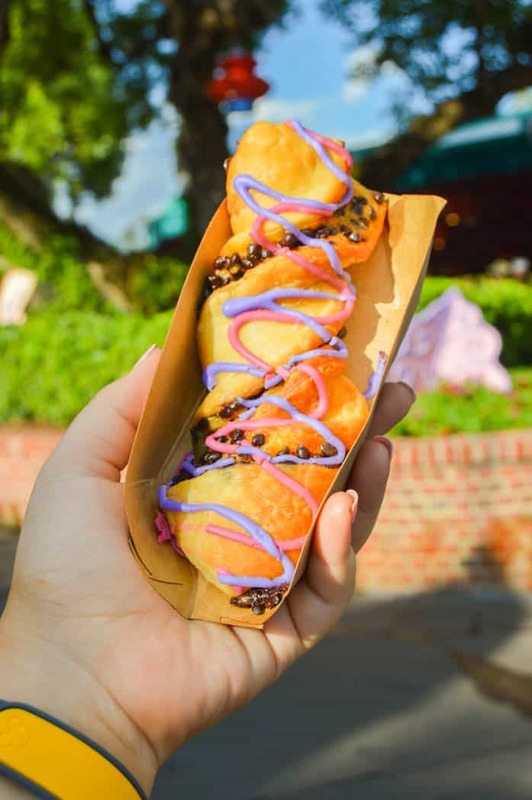 Where to find it: You can find these tots at Storybook Treats in Fantasyland. Right across from the Seven Dwarfs Mine Trains and next to The Many Adventures of Winnie the Pooh Ride. It’s located next door to the Fiar’s Nook where you get your loaded tater tots. 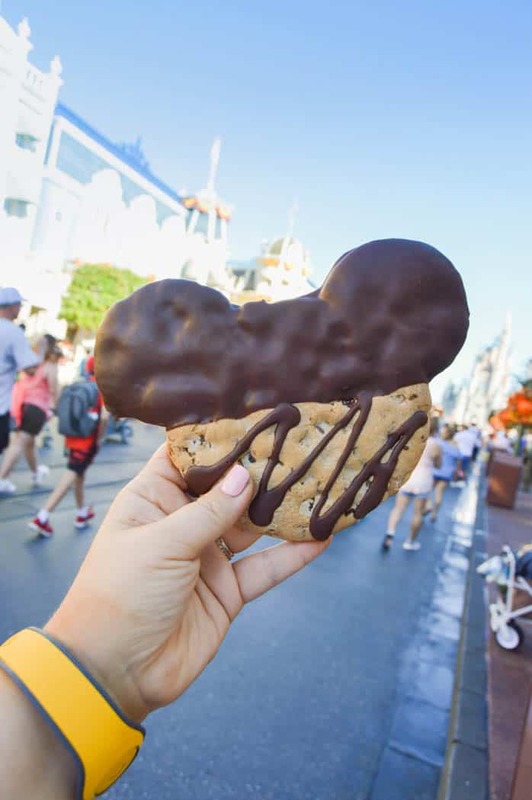 I don’t know why but everything taste better when it’s Mickey shaped. This waffle is larger than the normal mini ones you get at restaurants and you can even order one with strawberries and whipped cream. Where to find it: You can find this in Liberty Square at Sleepy Hollow Refreshments. As soon as you cross the bridge to Liberty Square you will see it. Plus they have seating with the best view of the castle. It’s the perfect place to sit for a treat. 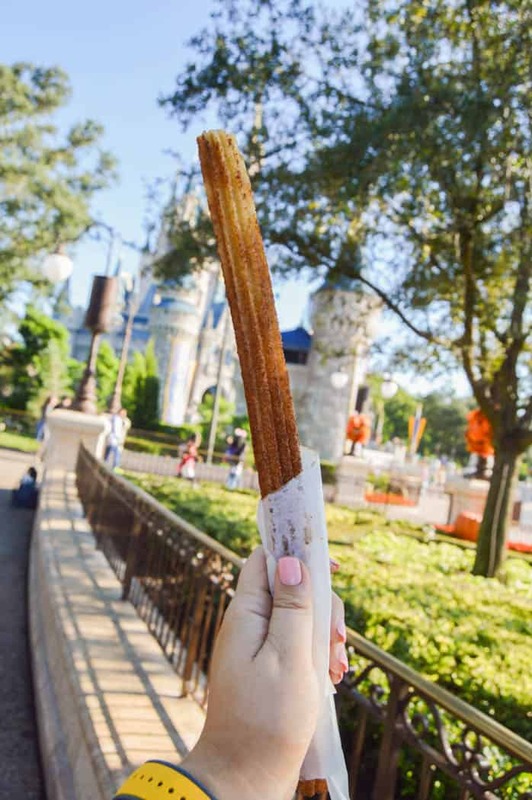 The churro is another classic Disney treat. It’s one that I love and can be bought with a chocolate dipping sauce. Where to find it: You can find churros in several places in the park. I bought this one at a cart but you can also find them in Tomorrowland at the Cool Ship or at The Lunching Pad. 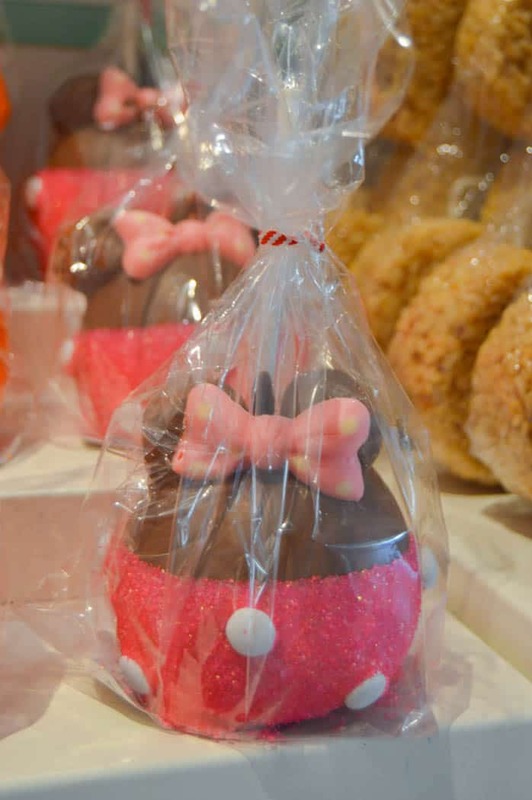 Where to find it: You can find this cooking along with lots of other baked goods on Main Street at the Confectionery. These apples are dipped in caramel then milk chocolate. I love how they are decorated with pink sprinkles and Minnie’s famous polka dots. Where to find it: You can find these apples along with lots of other decorated apples on Main Street at the Confectionery. They have them premade and wrapped or you can go through the bakery line to pick out some in the glass. Planning a trip? Pin it for later!